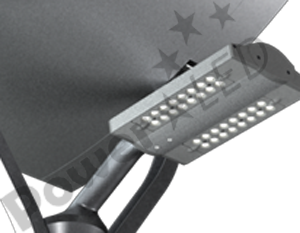 The SOLAR5100 is a user defined 58W/12V or 64W/24V, IP65 rated, RoHS compliant, Natural White, Solar LED Street light, suitable for outdoor lighting applications. 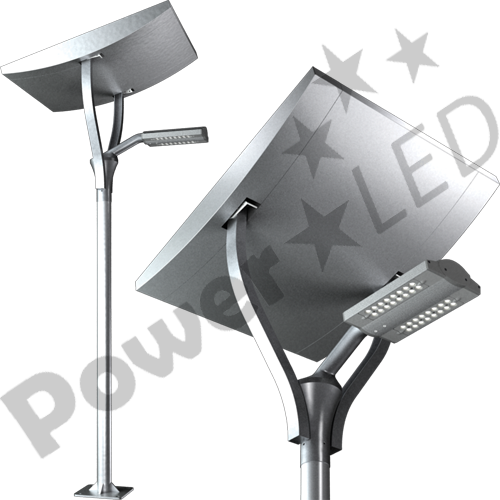 The SOLAR5100 is a user defined 58W/12V or 64W/24V, IP65 rated, RoHS compliant, energy saving, Natural White, Solar LED Street light, suitable for outdoor lighting applications. 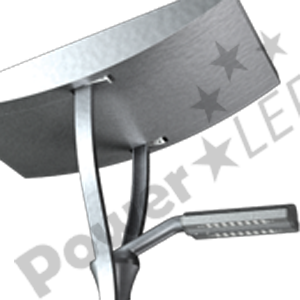 The SOLAR5100 is low maintenance, features easy installation on to existing street lighting fixtures and built in 0~10V dimming and with 90% of the components suitable for recycling, the SOLAR5100 will produce a cost saving of up to 80% when compared to incandescent fittings.